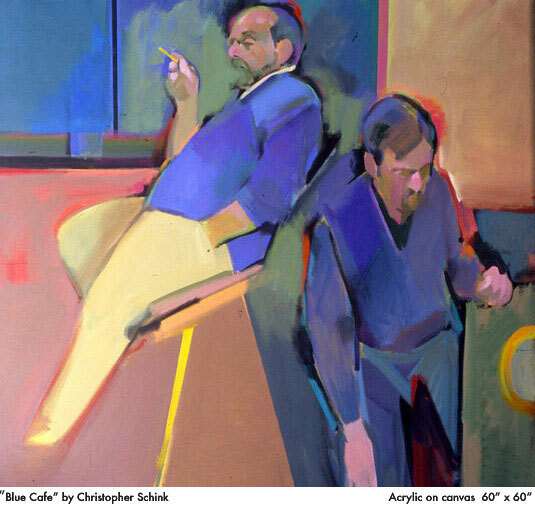 one of America's most popular painting instructors, Christopher Schink. Looking for an exciting painting workshop? Visit the Workshop page of this site. painters of all media, in Taos NM. April 25-27, 2005. Christopher Schink, Alex Powers, Fran Larsen, Katherine Chang Liu and Skip Lawrence.